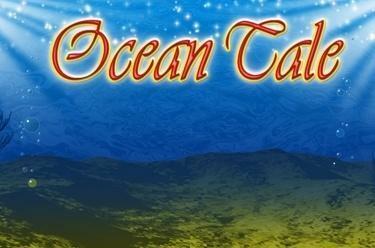 Play Ocean Tale online for free now! Fresh fish and fat prey! 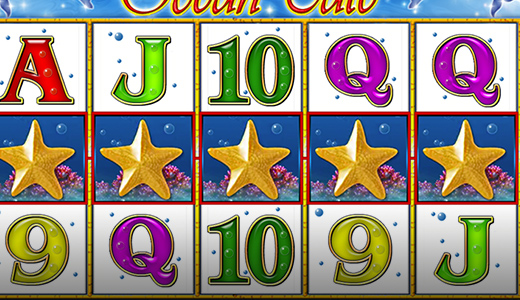 In Ocean Tale you make a big splash by harvesting gleaming Twist treasures at the bottom of the ocean on 5 reels and up to 25 win lines. Put on your diving suit, explore a pleasant paradise under the sea and don't mind the massive shark: this predator is not out for a bite – instead it wants to bring you Twist winnings! Land at least 5 adjacent identical symbols on one of the active win lines running from left to right and rake in huge amounts of Twists. Winning combos are possible from 2 symbols (depending on the type of symbol). Please note: Combos must begin on the first reel to land you winnings. The Shark symbol acts as Wild and can substitute for any other symbol to complete winning combinations – except for Scatter. In addition, winnings generated by this symbol will be doubled! The Treasure Chest symbol acts as Scatter and can trigger up to 30 free games if it lands at least 3 times anywhere on the reels. When 3 or more Scatter symbols appear it's time to open a Treasure Chest! Click on your favorite and uncover a pearl. This reveals how many free games you have won – 10, 15, 20 or 30! Free games are played with the stakes of the triggering spin and all winning combos (except for Wild win lines) are doubled. Moreover: Further free games can be triggered during free games. Then you are allowed to open another treasure chest. Missed out on holidays this year? Why not have that vacation feeling at home with Ocean Tale and rake in some sensational Twist wins at the same time. Plunge into unparalleled underwater worlds and salvage sublime Twist treasures!